Emojis are now well integrated in the modern messaging world. There have been plenty of emoji projects that have since surfaced, with each posing its own art form. This has offered avid texters plenty to choose from, and that would be understating it. 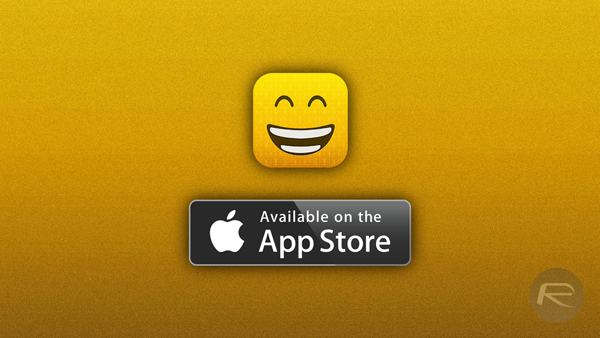 Makemoji for iOS is a ‘do-it-yourself’ emoji app that lets you create your own emojis to your heart’s desire. Makemoji would be the first app of its kind, and the first at all to be fused with a social networking scape, allowing users to share their creations with their friends bringing in the crowd-sourced element to the app. Of course, users can share their creations on Facebook, Instagram and Twitter as well. 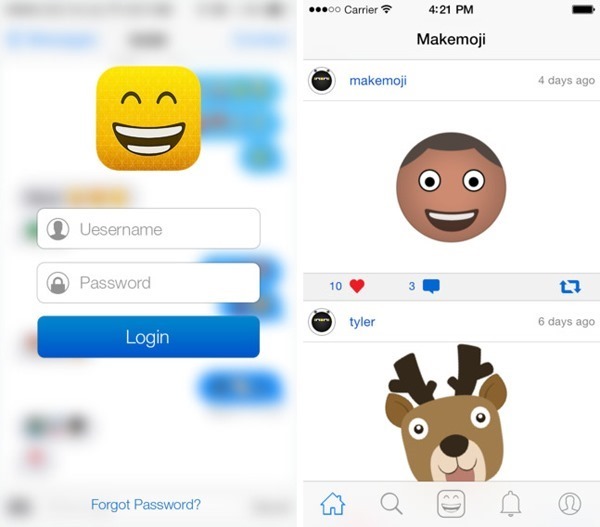 Makemoji has a creation tool that is no pushover. 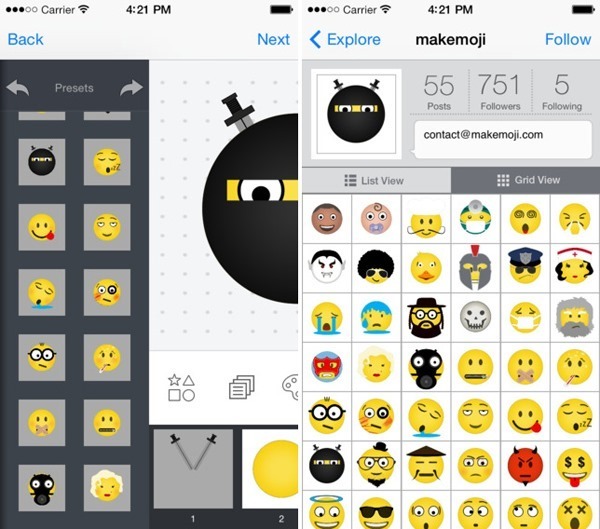 The app sports some robust features allowing users to create emojis from complete scratch. Yes, you can start with squares, circles, colors, presets etc. to truly make your own statement. The app employs a layer based editor, letting you build upon the basic shape or body of your emoji. As you progress, you add in more details with successive layers. The color palette gives you complete sense freedom, letting you create your own complete with hue and opacity settings. Creating in layers allows you to clean just the elements in a selected layer using the eraser tool, and if you think starting exactly from scratch is not your thing, you can import a photo from your Camera Roll and have a go at editing that. The emojis that you create will be stored on your profile page, and make their way to the news feed for other users to see. Other users can share those emojis, comment on them, or simply use them. Now comes the dreaded catch – Makemoji does not allow emojis created, or even downloaded using the app to be integrated with the keyboard in iOS. There is no way to access your creations from within iMessage, and you will have to go through the Makemoji app to insert your emoji into a conversation. Hopefully, the developers will soon take this much troubling issue into account. Everything said and done, Makemoji is an app that offers plenty of features considering it’s free on the App Store, but the most important need of a seamless integration with the iOS keyboard may put off a few users. does it send as an image file?